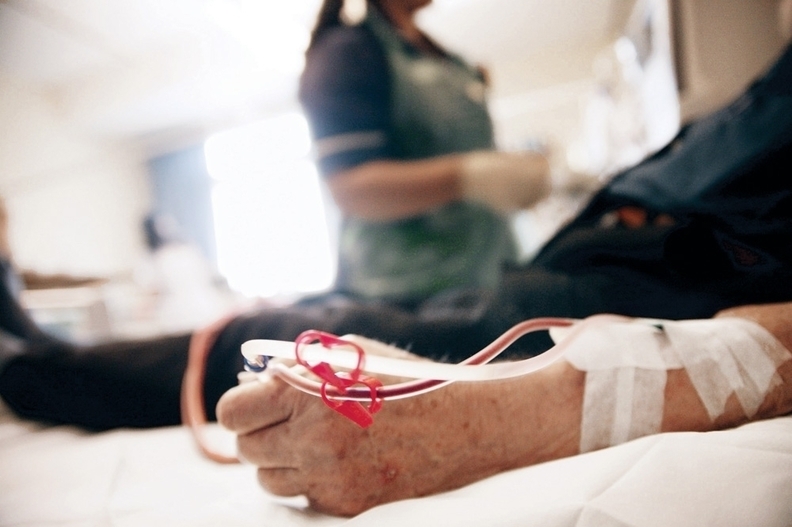 DaVita, Fresenius beat back costly dialysis measure in Calif.
Dialysis giants DaVita and Fresenius Medical Care scored an expensive win as California voters shot down a proposition that would have caused a big hit on the companies' profits. Results were projected early Wednesday morning for Proposition 8 as the support for the ballot initiative lagged far behind in reported precincts. The union-sponsored measure would have capped charges at 15% above the direct costs of dialysis treatment. Analysts estimated that DaVita could lose up to $400 million in annual business in the state that stands as the company's largest and fastest-growing market. In the buildup to Tuesday night, analysts suggested that the company could even pull out of California entirely if the measure passed. The measure was driven by the Service Employees International Union, which doled out more than $18 million to push a "yes" vote. That compares to a $110 million war chest by a massive coalition including the state's major provider trade associations—the California Hospital Association and California Medical Association—on the other side. DaVita put up about $66 million for the opposition coalition group, while Fresenius has contributed about $28.5 million, according to analysis from Height Capital Markets. The two companies have nearly three-quarters of California's dialysis market, which is the largest in the country with 588 licensed chronic dialysis clinics. About 140,000 Californians received dialysis in 2016, according to the Office of Statewide Health Planning and Development. But DaVita may not be out of the financial tangle for long. California's outgoing Democratic Gov. Jerry Brown vetoed a measure passed this year by the state's Legislature that would have capped commercial insurance payments for dialysis at Medicare rates if the insurance premiums were partially paid for by an industry-adjacent third party. However, state Sen. Connie Leyva, a Democrat who introduced the measure, has signaled she wants to try again in the next legislative session; incoming Democratic Gov. Gavin Newsom may not take Brown's position. DaVita has taken additional hefty financial hits this year, with a $270 million settlement with the Justice Department over allegations of improper Medicare Advantage billing. A Denver jury also forced the company to pay out more than $380 million in wrongful death lawsuits over the summer.